Champ, in general, is an abstemious dog. While the evening before his humans had indulged themselves with barbecued ribs and several bottles of Trader Joe’s Providential Belgian-Style Golden Ale, Champ, wanting to maintain his training weight and believing healthy food makes healthy bodies, limited himself, despite several tempting offers of treats, to water and his Nutro whole brown rice, chicken and oatmeal dry dog food. He has good reason for his strict dietary regimen. He is the neighborhood champion at retrieving flying plastic discs sent sailing into the sky by his obliging human staff. He likes being Top Dog. No matter how far it’s thrown, he’ll snag it before it lands. Devious attempts to flummox him with false throws, confusing arm movements and other ruses rarely succeed. For awhile the black Lab down the street thought she was the Frisbee champ in their part of town. She learned better. Now she’s content to sit quietly and gaze in awe at her friend’s flying leaps and midair twists as he proves again why he’s a Champ. 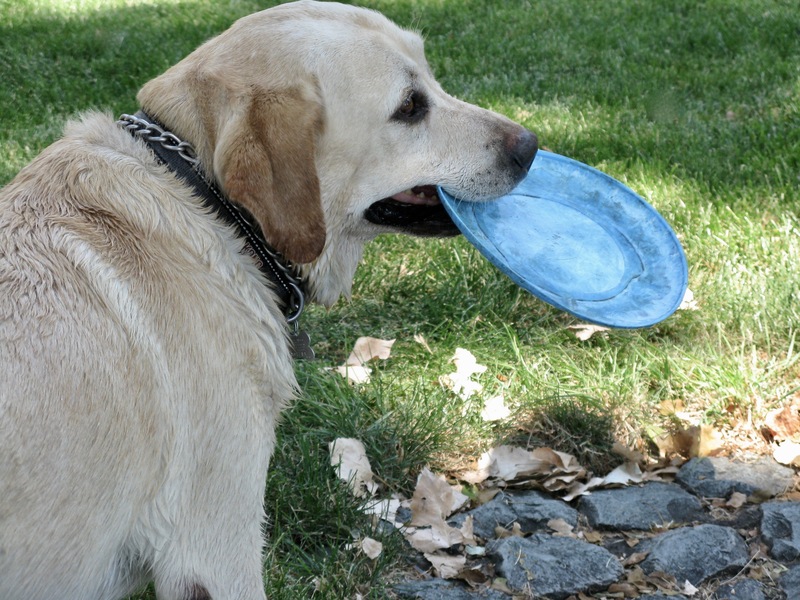 Tags: dog, Frisbee. Bookmark the permalink.